We want to list you in our directory! But we are very strict when it comes to doing so. Our focus is on the needs of patients and caregivers, not on the wishes of advocates who want to be listed. We do our best to be sure you can meet those needs, and to do so we have put together this list of requirements. 1. Be a Premium APHA Member in good standing. 2. Show a track record of willingness and capability to help others. 3. Have a business website that focuses on an advocacy / care management practice outside of the AdvoConnection Directory. These requirements are explained more fully below. As mentioned above, the AdvoConnection Directory is first and foremost a tool intended to meet the needs of patients and caregivers. Even though it is also a great marketing tool for advocates, that is its secondary purpose. Because the AdvoConnection Directory takes its responsibility seriously to showcase only professional advocates, we have developed these requirements. Of course, even meeting these requirements does not guarantee an advocate will succeed, but having met the requirements at least shows the professional approach taken by each. Your track record: this is a simple web search on your name and location to see what pops up. This is exactly what a potential client would do, so we just make sure there isn’t some glaring reason you should not be listed. If, for example, your LinkedIn listing talks about the fact that you own a pizza shop – well – that’s not exactly the track record that will be useful to you, a patient – or the AdvoConnection Directory. Here we are not looking for your long-standing work as an advocate (because, for most, the profession is too new for that to be apparent.) We just want to be sure the experiences you have had will lend themselves to good client service and a knowledge of the healthcare system. Your web presence: beyond the random information we might find about you (including your grandkids’ birthday parties on Facebook?) 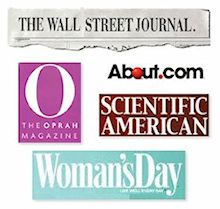 we want to see a professional web presence that speaks specifically to your advocacy work. Again, this is what a potential client will do – search for information about you to ensure himself you are trustworthy and can help. You will need a website for your advocacy practice. (We’re sorry but a Facebook page or a LInked In Profile will not be accepted). Specifically, be sure there is a good description of the work you do (benefits to potential clients of working with you), your contact information is easy to find, and your location is listed or described on the site. a. Your professional insurance: There are many forms of business insurance available, but two forms are of most interest to us. You must have one or the other of Errors & Omissions – or – Professional Liability. Errors & Omissions (also called E&O) All advocates need E&O which will cover you for the non-medical work you do for clients. Important: general liability insurance, also called BOP insurance (Business Owner Policy) is not an acceptable form of insurance for listing in the directory. Why the insurance requirement? From the AdvoConnection point of view, the important reason is because, today, this is what makes you a professional as opposed to a poser. There are only a small handful of insurers who will cover private advocacy* and the only reason they are willing to do so is because advocates are willing to put themselves through the review process to make it happen. In order to be approved for either E&O or professional liability insurance, advocates must submit a credentials ranging from education, to the contracts they will use*. Once the advocate has been approved for insurance, and has purchased the policy, we are more confident that the advocate can be listed in the Directory and is at least poised to meet the needs of his or her clients. From your personal standpoint, the acquisition of insurance is even more important, because the need for protection goes both ways. On the one hand, holding this insurance is a feather in your professional cap. On the other hand, it also protects you from clients who may not see the results of your work in the same glowing light you do. Getting sued is rarely about what you really did that was bad. It’s always about how it was perceived by the person who was paying for it. Advocates assist patients with two of the most important aspects of their lives: their health, and their money. Advocates often delve into personal finances, and they often enter the homes of vulnerable patients. Having passed a background check can go a long way toward instilling trust: trust that you will be fair and legal with the patients who trust you, and therefore, we (APHA) can trust you, too. or include a statement that no sanctions were found. Learn more about background checks as they apply to health and patient advocacy. 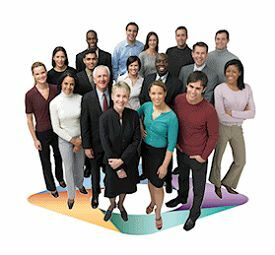 The AdvoConnection Directory listing requirements are just that – for your directory listing only. They are not requirements for membership. 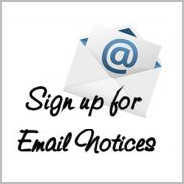 You may apply and be accepted for membership as a PACE or Premium member at any time. 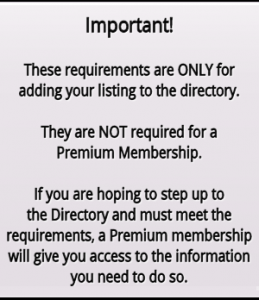 If you want to be listed in the directory, that is a next step once your Premium membership is already set up. Not Yet Ready to Apply?